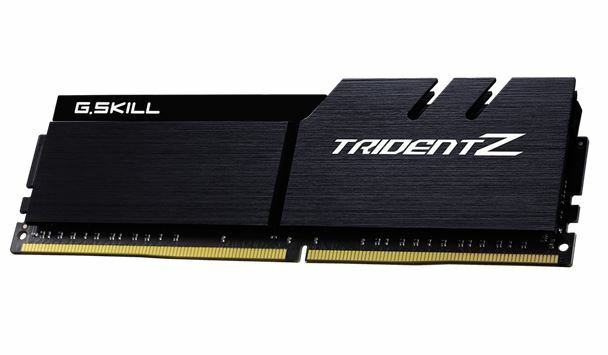 G.Skill has announced two new additions to their already impressive stable of memory kits with the new DDR4-4266 64 GB (8×8 GB) and DDR4-4000 128 GB (8×16 GB) set designed for the latest Intel Core X-series processors using X299 based motherboards. G.Skill says the kits are the highest speed available at such a capacity (fastest in the World they say!) and will be available in 2019 Q1. 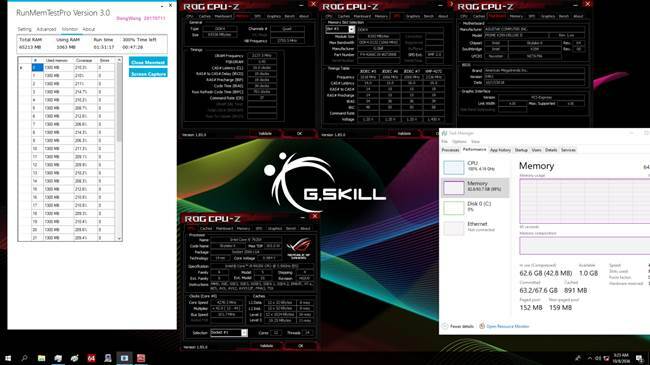 Both kits will use Samsung B-die ICs under the hood and were validated using an ASUS Prime X299-Deluxe II motherboard with the faster kit tested behind an Intel Core i9-9920X while the higher capacity kit used an i7-9800X. The two sets of memory support Intel XMP 2.0 for one-touch setting… though something tells me some tweaking will need to happen for this capacity and speed! 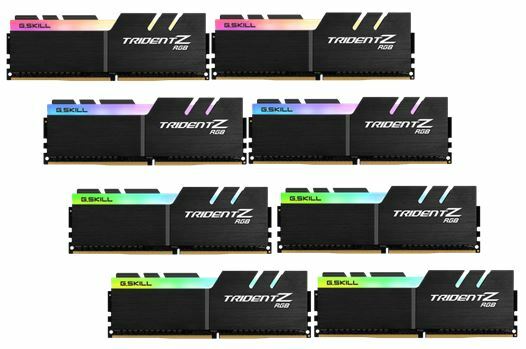 The DDR4-4000 128 GB set uses CL19-19-19-39 timings and 1.3V and will join the G.Skill Trident Z RGB family. 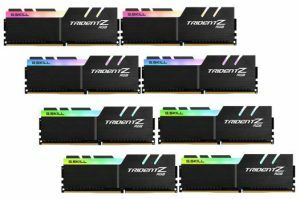 The 64 GB DDR4-4266 SKU on the other hand, comes in the G.Skill classic Trident Z heat spreader with the same timings mentioned above, but uses 1.45V. Pricing was not mentioned but you can bet your last dollar these will not be cheap. Not only is the capacity high, but the speeds for the capacities will certainly fetch a premium. wow, 16gb modules that do 4k. that is friggin incredible. 16GB at 4000+ was actually available in earlier memory kits too but not in 8 memory module kits. I only wonder which setup will handle that. Most Skylake-X won't make 4000+ on 8 memory modules. 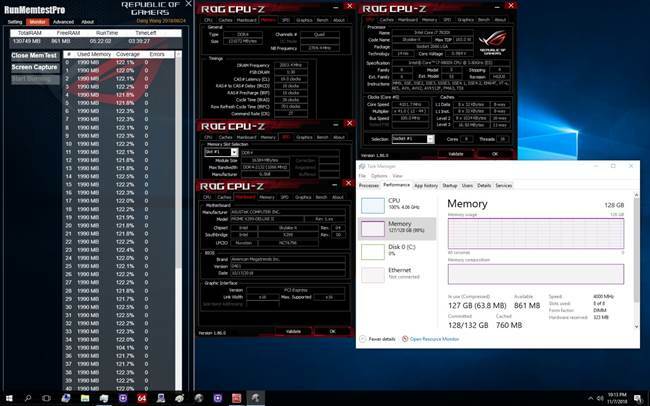 My 7900X ends at about 4100 on 4x8GB sticks. 4x16GB kit could run at 4000 stable on one out of 5 or 6 X299 motherboards. I wonder how many rigs will be able to actually run 128 GB of RAM at 4000 MHz? It's an impressive feat for any of them, though. I remember when all I wanted was 8 GB of DDR 3 @1866 MHz, which sounds like painting on cave walls compared to this, but it was way less than 10 years ago.